Mini finds a dog and, although she knows he belongs to someone because he is wearing shoes, she wants to keep him. When the dog runs away one day, Mini realizes that his owner must be missing him. When Mini finds the dog's owner she happily returns him and then adopts her own dog. There is a message about empathy within the book. The author also includes an end page in the book in which she advocates for shelter dog adoption. 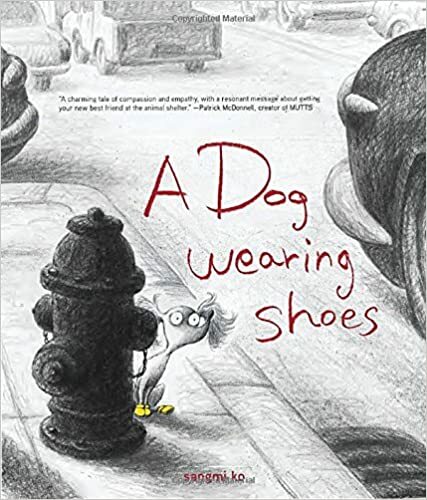 The illustrations which are mostly black and white, with exceptions such as the dog's bright yellow shoes, help to give the story humor and charm. This is a sweet tale of a wilderness, winter-time adventure. 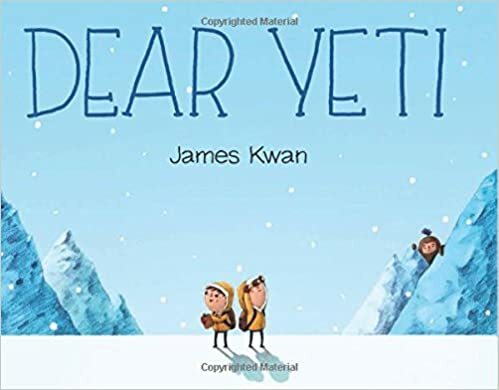 The story is mostly told through letters that two young hikers send, with the help of a bird, to yeti as they try to find him and convince him to show himself. Yeti proves to be a true friend when the hikers are face-to-face with a grizzly bear. The text is brief, but the illustrations are adorable and the message is heart-warming. This is a funny story of a creepy stuffed animal and the boy who just can't get rid of him. Adam attempts to hide him and run away from him, but the stuffed koala, "who has terrible eyes that follow him everywhere" keeps turning up. Adam's attitude changes when he realizes that koala's watchful eyes may actually do some good. The illustrations show a stuffed koala who is both creepy and cute. 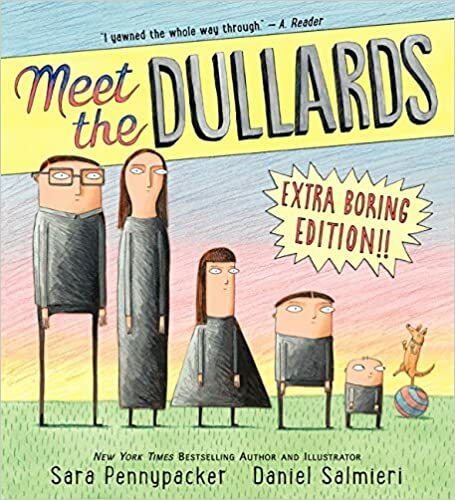 Mr. and Mrs. Dullard are dull and they want to keep it that way, so when their children shock them by doing things that are not dull, such as reading and playing outside they decide to move. The book has humor and word play: the Dullard children are named Blanda, Borely, and Little Dud; the children sit and watch the television to calm down although it is unplugged; the ice cream stand has 90,000 flavors but the Dullards order vanilla cones without the cones or the vanilla. The dullness of the Dullards is greatly exaggerated which may make anyone who thinks their life is boring reconsider. 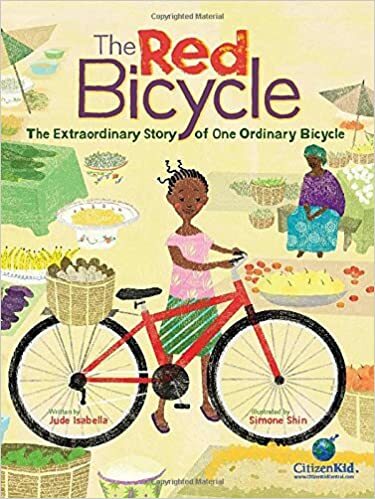 When Leo outgrows his bicycle, Big Red, he donates it to an organization that collects used bicycles and sends them to countries where they are needed for transportation, but people can’t afford them. The book tells the story of how the bike makes a difference in the lives of others living in a country in West Africa. At the end of the book, the author provides additional information about organizations that collect bikes for those in need. This story shows the global impact that one person can make and will provide inspiration for those who want to help others. This is a picture book that will satisfy the curious mind of anyone who would like to know what Santa was like as a child. The book tells about aspects of Santa’s childhood that mirror what he is like as an adult. There is his booming voice even as a baby, his affinity for red, chimneys, and cold temperatures, his generosity, and his pet hamsters which he harnessed with ribbon to a matchbox. I think the illustrations are what I like best about the book. They look old-fashioned and remind me of the Golden Books I read as a child. Baby Santa is without pants in a couple of pictures which is sure to make children giggle. This book is part of an early reader chapter book series. 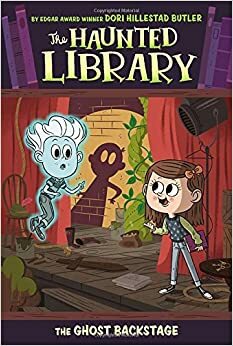 There is a ghost who has been separated from his family, a girl named Claire who can see and talk to ghosts, and a mystery concerning ghostly happenings at Claire's school. The plot is simple, but it's hooked the interest of many of my readers who enjoy the mystery and the fantasy within the story. This is the third book in a chapter book series. The book is short with illustrations on every few pages so it would be appealing to younger readers who are just beginning to transition to chapter books or don’t have the stamina for longer texts. Young readers will appreciate the action and adventure, especially those who like dinosaurs. 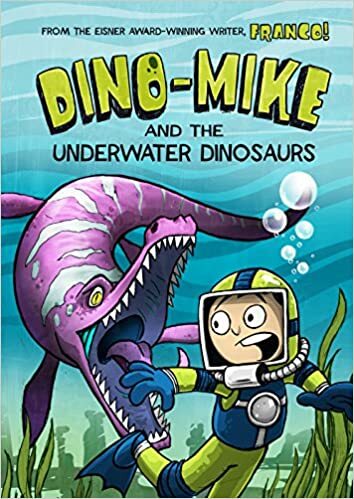 The main character in the series accompanies his paleontologist dad on fossil hunting trips, but has his own experiences with real dinosaurs. Recently, I was asked by parent if I knew of any books about fairies that, in her words, "were not lame." She explained that her child only wants to read books about fairies and had already gone through one book series. After some searching, this is the series I found. This chapter book series, by Disney, is written for 6-10 year olds. In the book, four girls are transported to Pixie Hollow, a land of fairies, which for them is like a magical, marvelous dream. Readers who are fans of fairytales and magic will be transported along with the girls to an imaginative land and enjoy the girls' adventures. This is the first in a middle grades chapter book series about twins who are also rivals. 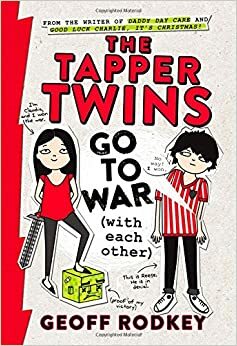 In this book the twins are at war and they each try to play the biggest and best prank on the other. The book is written in a unique way as it’s told from the perspective of the twins as they alternate telling their account of what happened and includes text messages, photographs, and chat logs to tell the story. 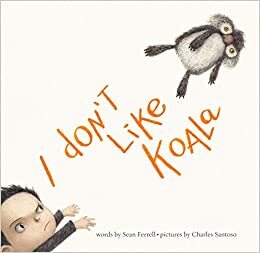 The storyline is meant to be silly and humorous, but some may feel this is a book for the upper end of the middle grades due to the topic and the nature of the sibling rivalry. Fun books, some I've read and enjoyed, other I need to find and read. 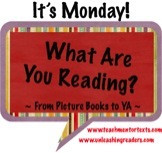 Mondays are always good for discovering new books, aren't they? Thanks for sharing yours. Although not always so good for my wallet! 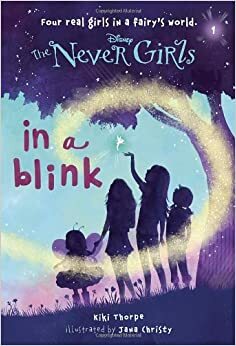 Never Girls series sounds like they would be good for kids who have outgrown or just read all of Daisy Meadows' fairy books. This is what I read last week. Happy reading! Yes, I think fans of those fairy books will like this one as well. You have lots of great reads here. I'm going to check out the Kiki Strike series, but the absolute best fairy book ever is The Night Fairy by by Laura Amy Schlitz. I adored it! It's a fairy book that lends itself to lots of discussion. Thanks for the title - I'll have to check out The Night Fairy. Lots of good ones here. I loved The Red Bicycle, have Dear Yeti on my wish list. Thanks Lisa! Such a good message in The Red Bicycle. I've also loved similar books, like One Red Hen, which show how much impact a small donation can make. Looks like you've got some really cute titles! I love the dog wearing shoes! I'll need to check that one out for sure. Have a terrific week! The illustrations in a Dog Wearing Shoes make it really adorable. I liked it more the second time I read it. I started thinking about how sometimes children just have that one stuffed toy that they just don't like.